Drew Karpyshyn, the writer behind games such as Jade Empire and Mass Effect has decided that it's time to move on. BioWare games are beloved by their fans for many things, but it's their robustly developed stories and characters that seem to define them. While the narrative and dialog are always produced by a large team of talented writers, there's always one person who heads the pack, providing vision and shaping each project's voice and direction. For BioWare, that person was Drew Karpyshyn, at least up until a week ago. 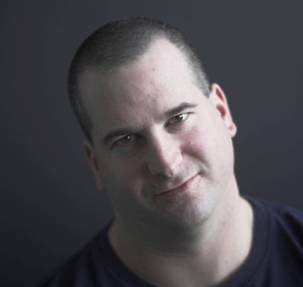 Karpyshyn revealed on his personal website that after more than a decade of penning the scripts to numerous award-winning games, he has retried from his post at BioWare. "For the past twelve years I've had the privilege to work at one of the best companies in the video game industry," he wrote, "side by side with the most talented and incredible group of people I've ever had the good fortune to know. I've enjoyed my time at BioWare immensely, but it's time for me to move on." According to the post, Karpyshyn doesn't have anything else specifically lined up for full time employment but, at least for now, he's going to use the immediate future for other creative endeavors. "I'm leaving to focus more time and energy on my novels and other non-video game related projects," he explained. "I'll always have fond memories of BioWare, and a great appreciation for everything it meant to me. But my future is wide open, and I can't wait to see what's in store. (Plus, now I'll have more time for golf.)" Karpyshyn's final project for the developer was new MMO Star Wars: The Old Republic, and before he cuts professional ties with BioWare completely, he'll work on finishing the game's tie-in novel, though he won't yet go into details. "I realize some of you may be shocked by this announcement. Maybe even disappointed," he wrote. "My identity has been closely tied with BioWare ever since I crawled into the public eye, and I know it's a risk to move away from my comfort zone. However, I feel that's an essential step for every creative artist to take at some point. It keeps us fresh, it keeps us energized." It's always a bit of a shake-up when a staple in the videogame industry decides to move on, but as Karpyshyn himself points out, change can only lead to interesting, fresh developments for both his personal work and the future creations of BioWare.